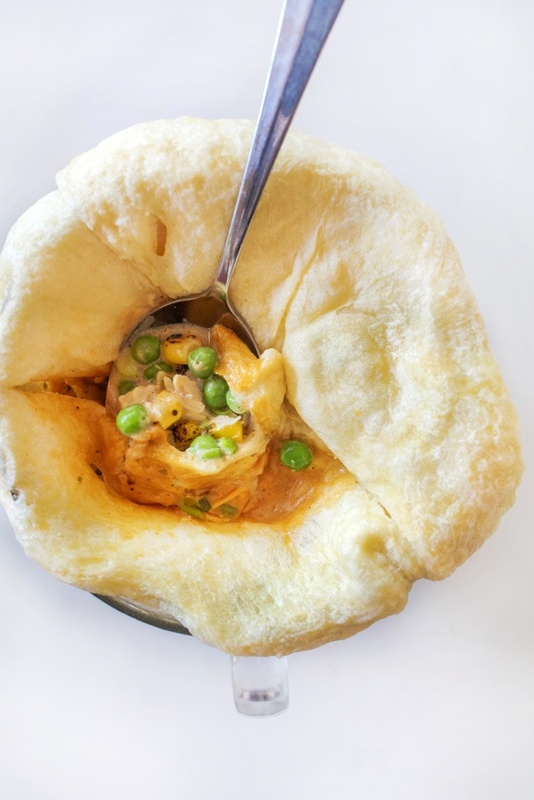 For centuries, people believed that it was impossible to make a chicken pot pie in the microwave. I have proven them wrong. This recipe first appeared in the article “10-Minute Dinner Recipes That ANYONE Can Make” Get the rest of the dinner in a mug recipes from this article at Refinery29. Heat the butter in a large mug in the microwave until melted, about 20 seconds. Whisk in the flour, using a fork, to make a paste. Then whisk in the milk or cream, followed by the broth. Mix in chicken, peas, corn, paprika, onion flakes, salt, and pepper. Unroll the crescent rolls and lay two or three of them across the top of the mug to make a crust, leaving a small amount of space between them so that steam can vent. Cook for 3 minutes or until the top is puffy and lightly browned, as shown. Look to the cookie. These soft and cakey half-and-half cookies are the perfect palette for your favorite sprinkles, jimmies, confetti, or dragées in elegant shades of black and white. This recipe is from my book Sprinkles! : Recipes and Ideas for Rainbowlicious Desserts. Buy my book and lean everything there is to learn about Sprinkles. Preheat oven to 375 degrees. Line 2 baking sheets with parchment paper or silicone baking mats. Sift flour, baking powder, and salt into a medium bowl. In a stand mixer, beat butter on medium to medium-high speed for several minutes, until smooth. Reduce speed to low and add sugar in a slow stream. Beat butter and sugar on medium-high speed for several minutes until light and fluffy. Beat in vanilla extract, then lemon extract, and then egg whites, mixing to combine after each addition. Add flour mixture and milk in 3 alternating additions and mix until just combined. Drop ¼-cup scoops of dough about 5 inches apart onto cookie sheets. Moisten a small offset spatula or butter knife with water and spread each mound of dough into a flat 3-inch round. Bake for 8 to 10 minutes, rotating sheets halfway through baking, just until cookie edges start to turn golden. For the icing, mix confectioners’ sugar, milk, and vanilla in a bowl until smooth. Transfer 1/2 of the icing to another bowl and add cocoa powder. Mix until no cocoa powder lumps remain. Using a small offset spatula, spread the chocolate icing on half the cookie. Repeat with the vanilla icing on the other half. Return iced cookies to wire racks to set for 30 minutes and then remove them with a spatula. Store cookies in an airtight container, layered between waxed paper, for up to 3 days. Tagged as: black & white, cookbook, cookbook author, cookie, food photography, food writer, Jackie Alpers, jimmies, recipe, recipe developer, Sprinkles! The secret ingredient is baby carrots! This is so simple that there isn’t even a recipe. Just toss a bag or two of baby carrots a crockpot with your favorite barbecue sauce and cook on low for 4 hours. Find out more super easy ways to use up that bag of baby carrots sitting in the fridge in my FoodNetwork.com article, Beyond The Bag: New Ways to Eat Your Baby Carrots. 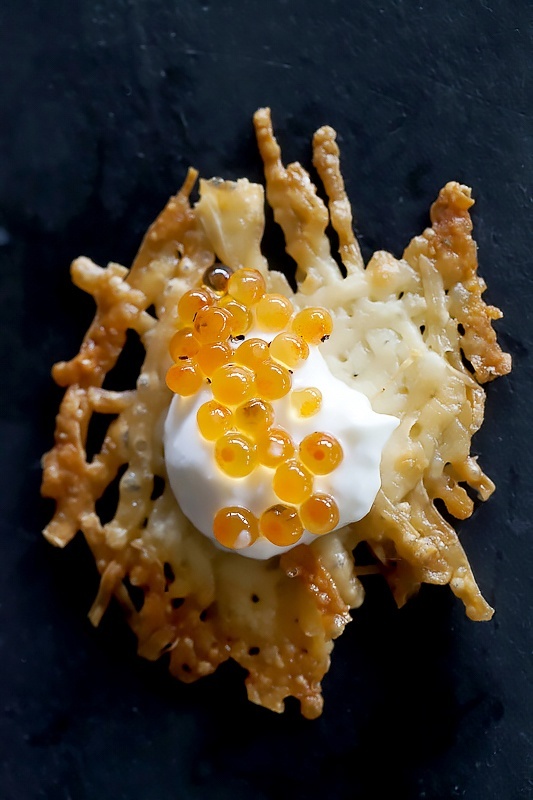 Festive enough for New Year’s Eve, this pretty appetizer only takes about 5 minutes to make. Bacon infused caviar adds an unique smokiness that will intrigue your guests and is fairly inexpensive, but any decent quality caviar will do. 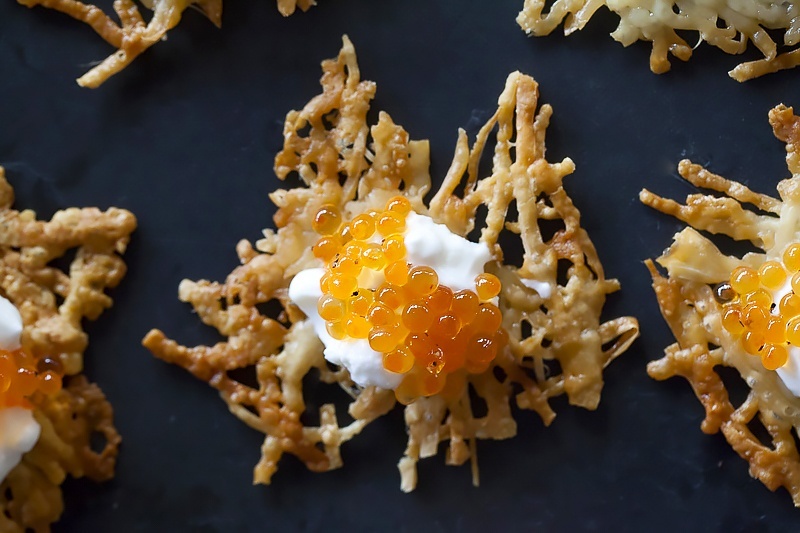 The one-ingredient parmesan crisps are a savory, no-carb alternative to blini. Preheat the broiler to 480-500 degrees. Line a half baking sheet with a silicone baking mat or parchment paper. 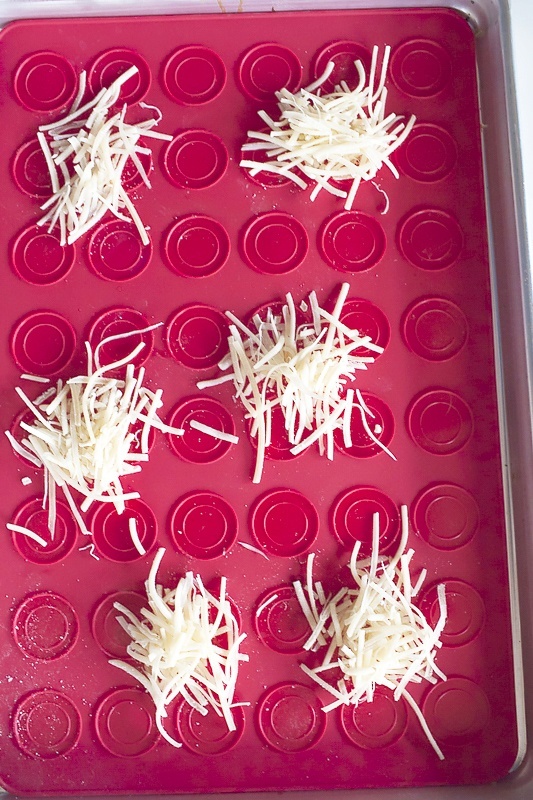 Drop 1-to-2 tablespoons of the shredded Parmesan onto the baking sheets into tiny mounds. Bake 5 minutes or until golden brown. Let cool completely and loosen with a spatula. Top each parmesan round with a dollop of crème fraîche and caviar. Serve immediately. Pile the shredded Parmesan into tiny mounds. Each of the crisps are unique and look like jeweled works of art. This is a healthy and extremely flavorful way to dress up boneless skinless chicken breasts. Adding just a small amount of butter on top, and using grated parmesan for a garnish, keeps the fat and calories down. Don’t skip the anchovy paste. It may seem like a weird ingredient, but it adds a lot of flavor. Also, don’t be alarmed, the lemon juice will appear to cook the chicken a bit, turning it white in the marinating bag. 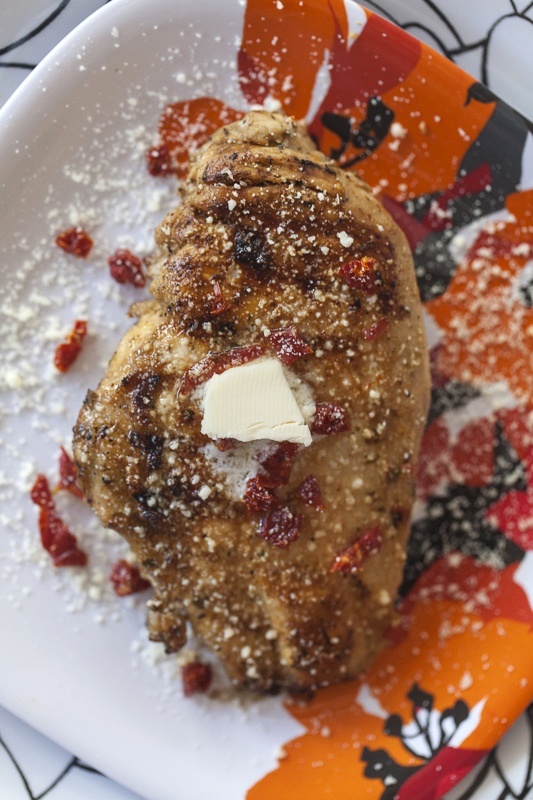 Place the chicken breasts between two pieces of plastic wrap and pound to about 1/2 inch thickness with a mallet, then put them in a resealable plastic bag with all of the marinade ingredients, using only 2 of the 3 tablespoons sun-dried tomatoes. Refrigerate for at least 4-6 hours. Grill over medium until cooked throughout, about 5 minutes on each side. To serve, top each chicken breast with a small pat of butter and sprinkle with remaining tablespoon of chopped sun-dried tomatoes and parmesan cheese. 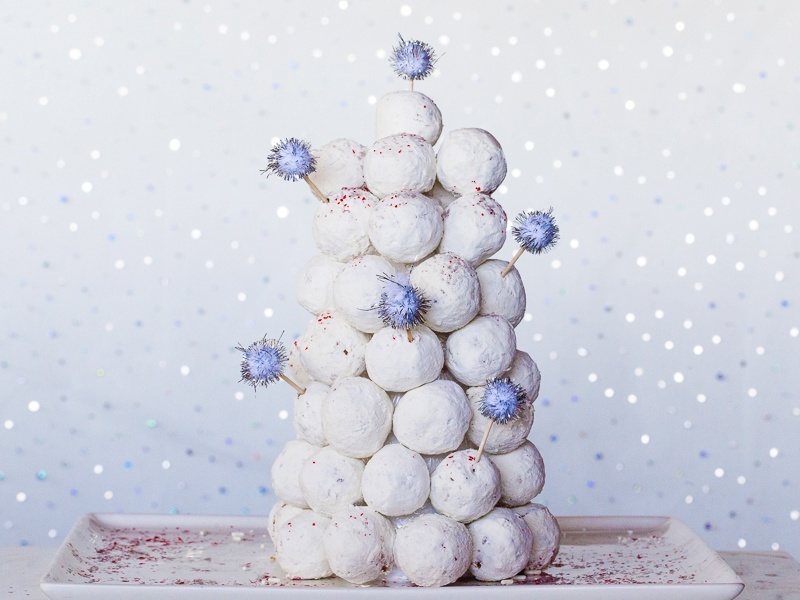 In my latest article for the Food Network I show you how to make 5 fun, edible holiday centerpieces, including this tree made out of powdered sugar doughnut hole. Here’s how! Ohio meets Arizona! 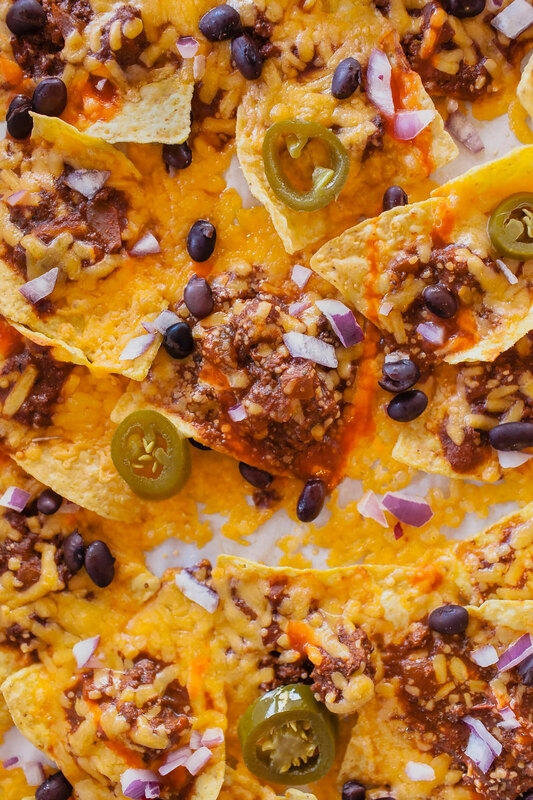 Cincinnati style chili cheese nachos – Cincinnachos as they will henceforth be known. The best of everything for snacking season. Start with My Recipe for Cincinnati Style Turkey Chili, substituting ground grass-fed beef or vegetarian ground beef crumbles if you prefer. 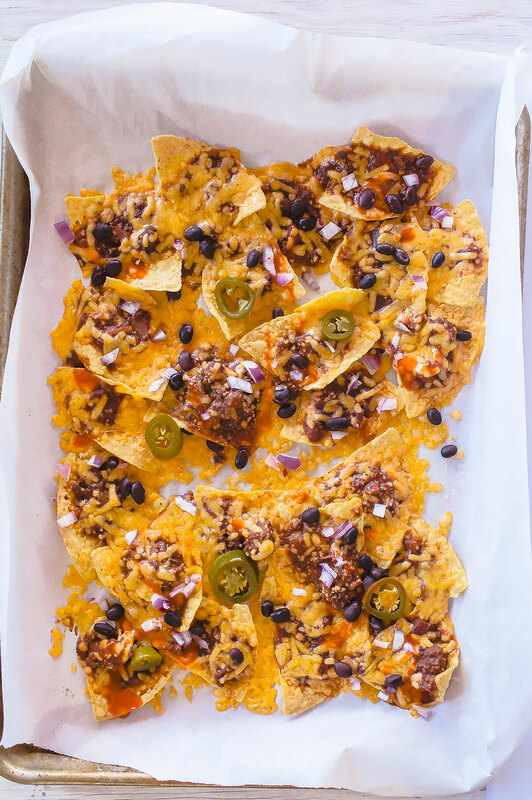 Spread a layer or tortilla chips onto the sheet. 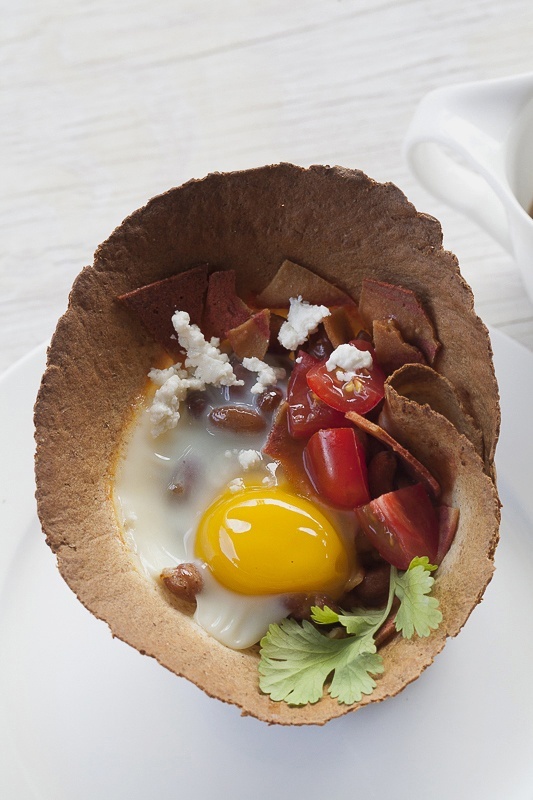 Drop spoonfuls of warm chili onto the tortilla chips then top with beans and onions. Cover with an even layer of cheese. Bake for 8-10 minutes or until the cheese melts, being careful not to burn the tortilla chips. Remove from oven and distribute the jalapenos on top of the warm nachos. Sprinkle with your favorite hot sauce and enjoy! 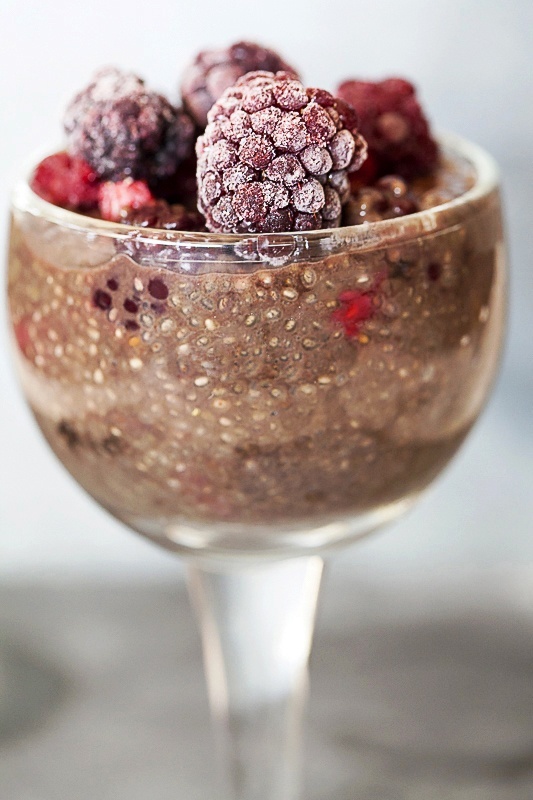 Dump all of the batter ingredients into a blender and pulse into smooth. Pour batter into greased or lined muffin tins, filling half-way. Bake for 15 - 18 minutes or until puffy and brown. The pancakes will deflate when you remove them from the oven. Spoon a tablespoon of yogurt followed by a teaspoon of spreadable fruit. 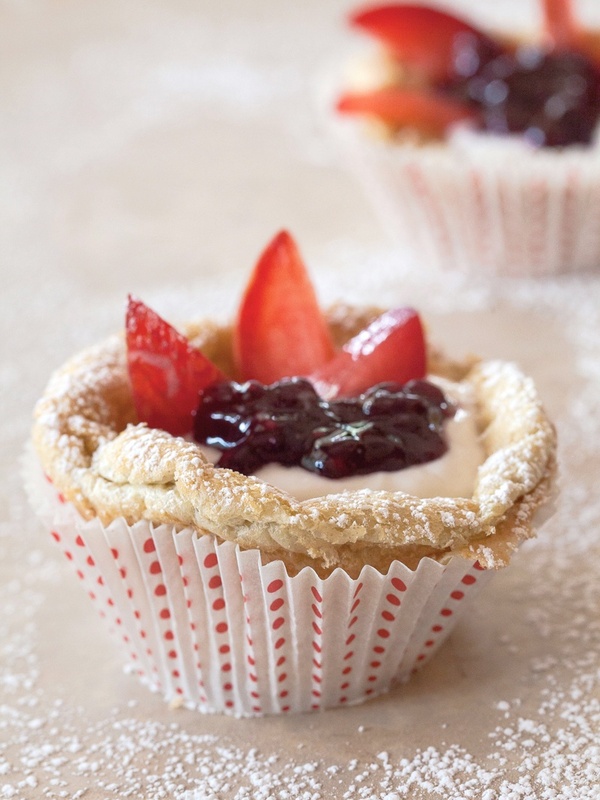 Decorate with berries and stone fruit slices and sprinkle with confectioners' sugar. Enjoy!